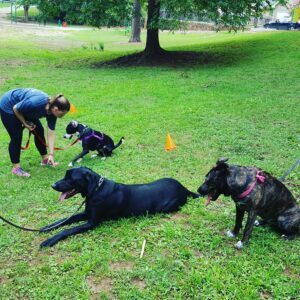 Make Dog Training Fun and Rewarding! It doesn’t matter what kind of dog you have or what behavior issues they might be exhibiting — they can still benefit from dog training, and also, find it to be fun! When a dog excels in training, there is great relief and rewards for the owner, as they have found a way to teach their dog to behave appropriately. But the rewards and relief are part of the package for the dog as well! Dog training isn’t about being strict, mean, harsh, cruel, or breaking anyone’s spirits and free will. Rather the contrary, dog training can actually be fun and enjoyable for both dog and owner! When a dog first begins training, it can be a big shocker for them, just ask our friend a fellow dog trainer in Washington DC. They might not warm up to immediately, as we are shaking their normal routines and behaviors. When major changes like this occur, it can be stressful for any animal or human. My Boston dog training works toward acclimating the dog and owner into the training structure, rather than flooding them with distractions and setting them up for failure. We can achieve this, yet still remain consistent with the training protocol and set training goals. Even when your dog becomes more adjusted in the training setup, we continue to make the training something the dog can be successful in and enjoy! It is a great way for both owner and dog to bond, as training makes the owner a leader, and the dog learns to trust and follow their person’s leadership. Many dogs thrive when they are given tasks or a job, and our training allows dogs to be both physically and mentally stimulated. We don’t aim to exhaust your dog, but more so keep them active in body and mind, and reap the benefits and joy of practicing good behaviors in and outside the home. Dog training can be difficult, and sometimes frustrating, especially if the owner is inconsistent and/or if the dog’s will to dominate is very strong. This is why a dog trainer is there — not to wave a wand and make your dog perfect, but to find a balance where both dog and owner can communicate and reach success together! Dog training should be about trust and respect, not fear and dominance. It should be about communication and exercise, not punishing and breaking the dog’s free will. It should be about owners becoming confident leaders, not dictators or total pushovers for their dog. Dog training can be fun, not a burden! 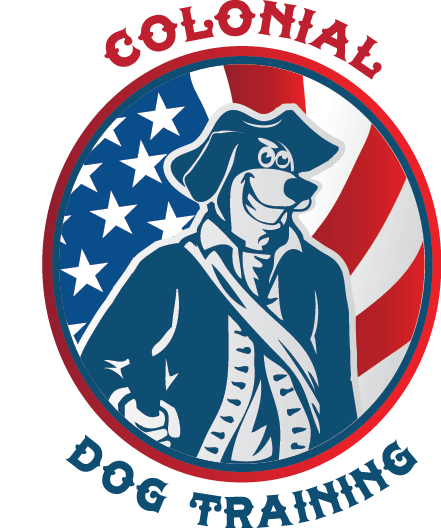 If you are seeking dog training help, call us at 800-649-7297 and we’ll work with you to help resolve your dog’s behavior issues!